Bob hair is biggest hair trend of recent years and older ladies can have modern bob hairstyles too! Please take a look at these Nice Bob Haircuts for Older Ladies and be inspired! 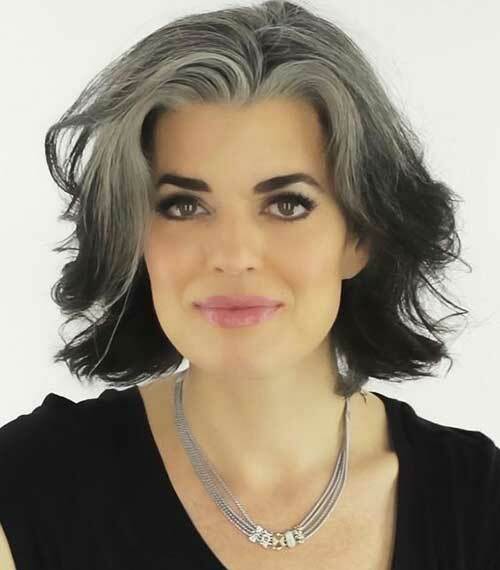 Classy bob haircuts perfectly fit for older ladies, gray hair also looks modern with bobs. 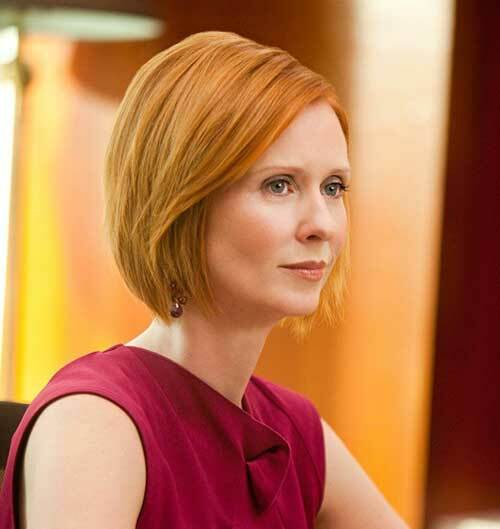 If you have light skin tone, this ginger red hair color and gorgeous bob hairstyle would look great on you. 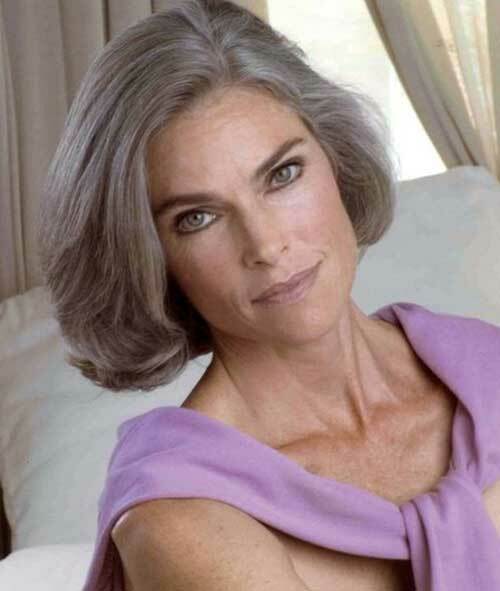 Most of the time gray hair is much more thicker than your former hair so blunt bobs with bangs would look nice with gray hair. Layered hairstyles are perfect for women with thin or thinning air, this way you can achieve more textured look. 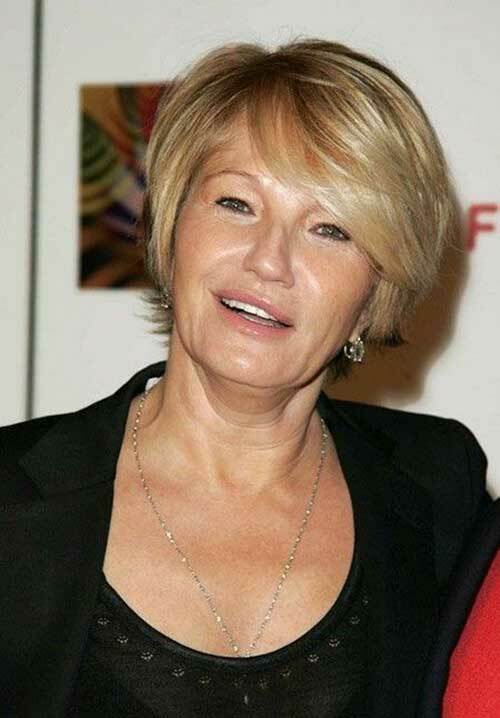 Ellen Barkin sport really nice and modern short haircut that flatter her face nicely. 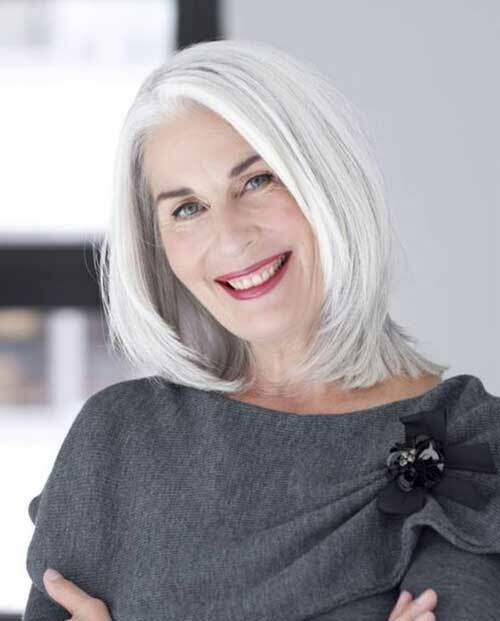 This medium length bob hairstyle can be sported by women of any age but it would look great on mature women. 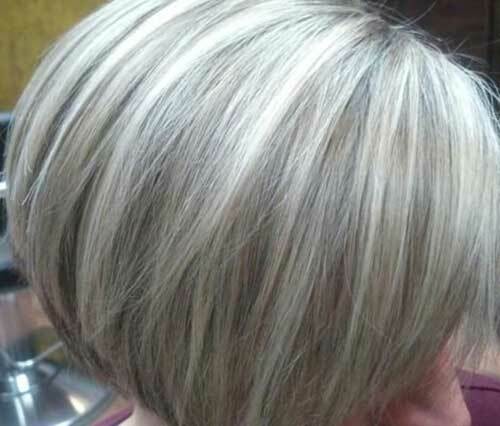 Here is simple bob hair, this bob is a nice look for older ladies who have gray or platinum blonde hair color. Jodie Foster sports really textured and layered short haircut, those layers give a really nice volume to your hair. 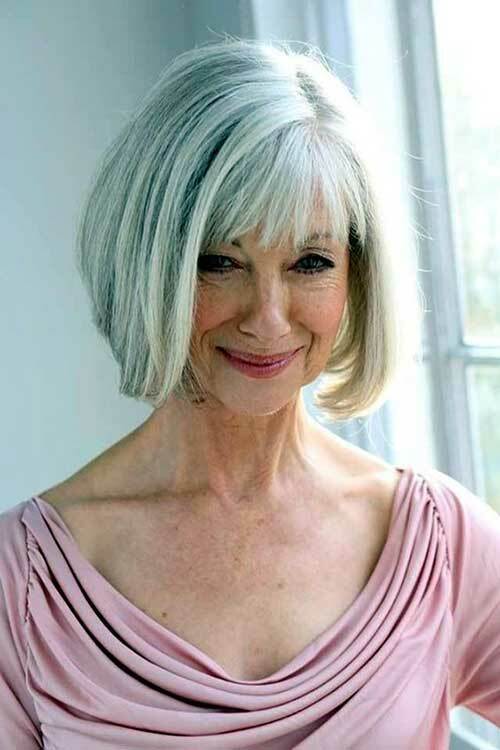 Long bob hairstyles with layers would look great on older women with straight hair. If you wanna add some different style to your bob add in some low-lights. 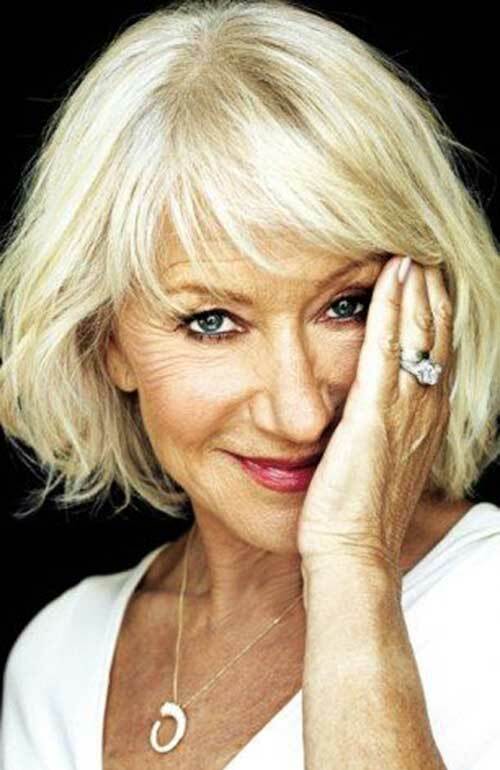 Helen Mirren is a great actress and she knows how to style her bob, as you can see she sports messy bob with wispy bangs in this pic. Wispy bangs are great for getting the attention to your eyes and cover up wrinkles. 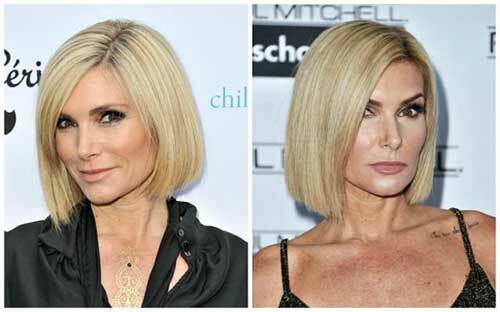 Deep side parted blonde bob hairstyle of Yolanda Foster can be a big inspiration for ladies with thin hair. Sleek straight bob hairstyle of her add a really nice and modern look to her style.